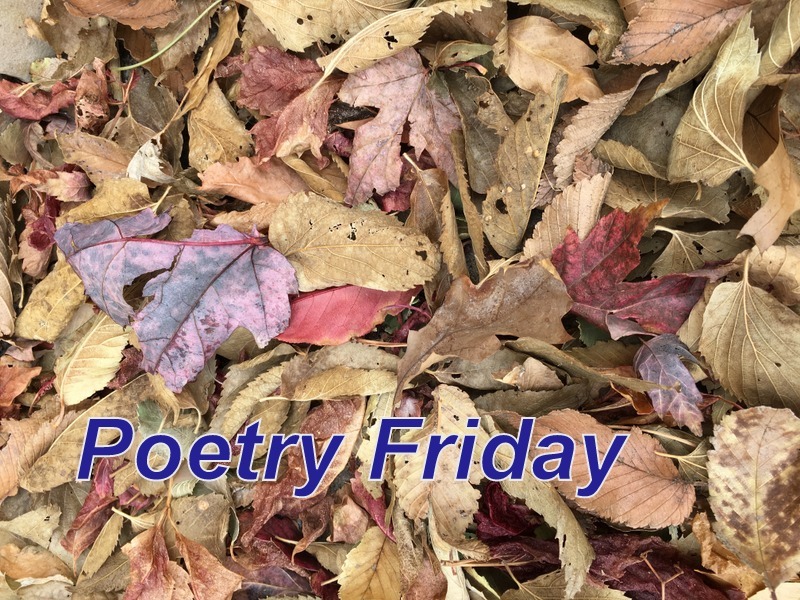 Erin Mauger at The Water's Edge hosts our poetry Friday this day before we welcome autumn. And it's time also to welcome Erin for her first hosting. Thanks for joining in, Erin. One early walk convinces me that fall has arrived. Yes, I know, it's not really till tomorrow. Here's one cherita story. Today we roll up summer. and a willow weeps its yellow coins. decorating that needs no human hand. And all pods break­– an early prep for spring. Thanks, Diane. I hadn't planned to write this earlier, but then I took the milkweed picture. Lovely, "decorating that needs no human hand." Only Mother Nature's hand–how inspirational your poem and Mother Nature. I recognized those pods right away, sigh–ah well till next spring thanks Linda! And when those green shoots rise up, we'll all be ready for SPRING! Thanks, Michelle. Thanks, Linda, saw them on a walk! I like those yellow coins, too. They are certainly thinking waaay ahead to be prepping for spring! Indeed, Mother Nature seems to plan ahead! Thanks, Tabatha. I hope this isn’t a duplicate. 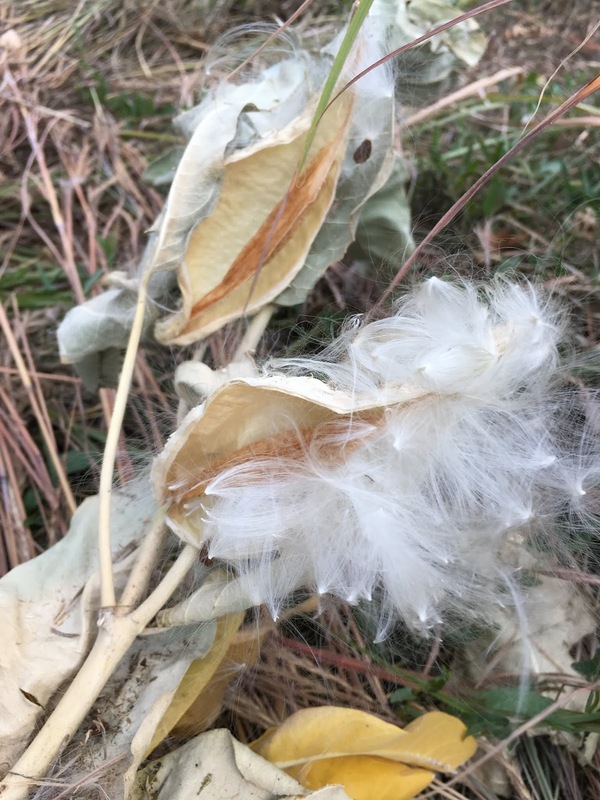 When I saw the photo of the milkweed photo, I wondered if there would be a poem. Nice job. When I saw the milkweed pod I wondered if there would be an accompanying poem. Well done. A bit of a duplicate, & that's okay. Thanks, Jone. I don't know about you, Linda, but I'm ready for fall. Chicago's summer heat has me beat. Your beautiful poem makes me crave Autumn even more. Yes, I'm ready, Michelle. It's cooler here today & feels wonderful. Thanks! Thanks for the welcome and for stopping by the blog today. Digging the imagery in your poem. I miss autumn, there's a short season in Australia but it's not quite the same. 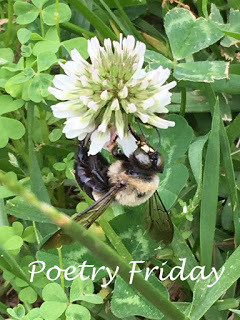 You're welcome, Erin & I'm glad to see you on Poetry Friday. I imagine you'll be seeing a few autumn images in these next weeks to enjoy. Thanks again for hosting! Lovely poem, Linda -- beautiful images. And the "pods break" provides a nice continuity of seasons. I'm ready for Fall! Thanks, Jama, I'm ready, too! The beauty that emerges gives me smiles every day. Beautiful cherita, Linda! I find it heartening when others write about the arrival of fall — I'm so ready to roll up summer! — it's good to know autumn's on the way. Thanks, Matt. When I saw them ready for flight, I thought of the plants they would make in spring. There are so many others flying around lately. Beautiful, Linda. I love 'willow weeps its yellow coins'. And the reminder of the cleverness of nature, already planning for Spring! Thanks, Sally. It feels like a miracle to me about that planning. Memorable imagery here in this perfect poem, Linda. I especially am excited about "Today we roll up summer." Love this cherita. Especially this line, "decorating that needs no human hand." I love finding these natural beauties. Thank you, Margaret. It's "decor" to me, too. I love that ending--fall as preparation for spring. Thanks, Kay, that endless circle feels like a miracle.